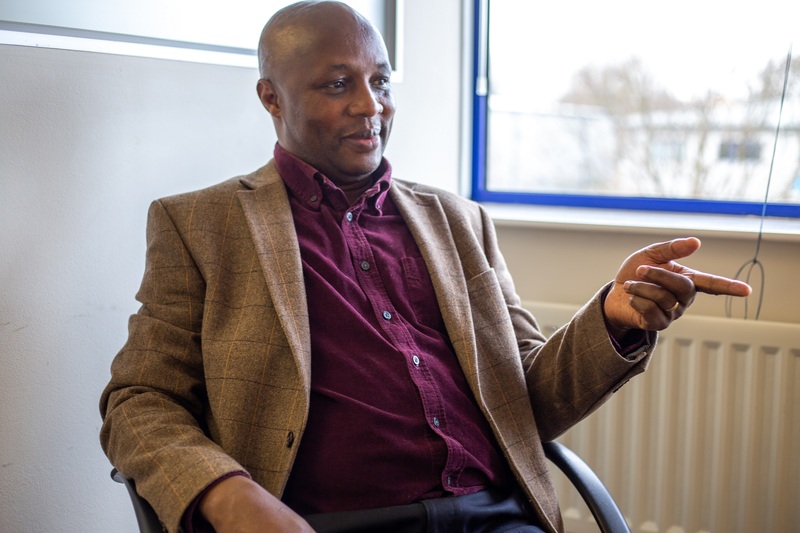 Jubilee House Care Trust enables people to be a part of community life, providing services that encourage their involvement, supporting them to be independent. This position was strengthened this year through our continued partnerships and attendance at many local events. Matthew and his key worker Linda have been very busy over the past few weeks, and those who follow Matthew’s adventures will know that he adores trains, especially Thomas. 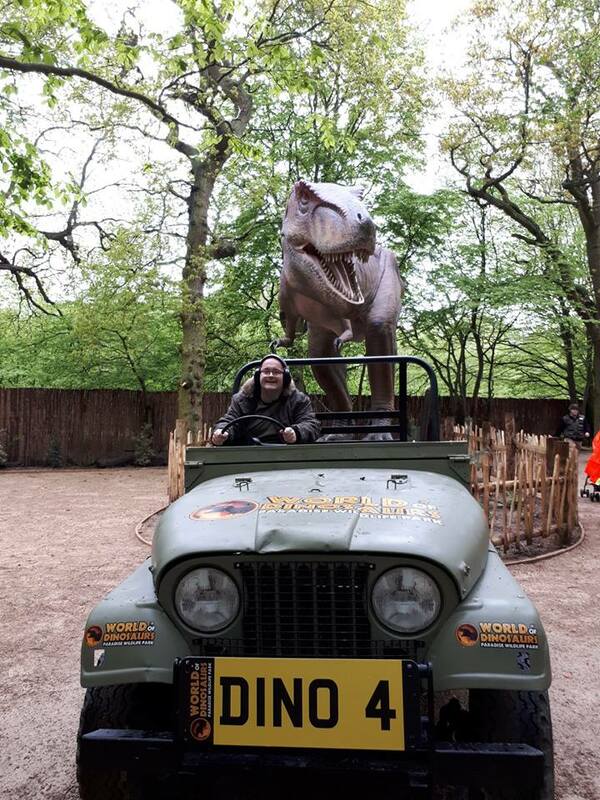 In March he visited Alexandra Palace He had a fabulous and fun day. 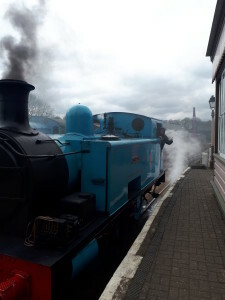 At the beginning of April he visited Nene Valley Railway where he drove a steam train by himself, well with a train instructor..but still! Being able to do that was his absolute dream and aspiration and it was not just any stream train.. it was Thomas! We are happy to provide a service like Outreach, that really does make a difference to someone’s life. HCPA ran Herts Good Care Month in January, the campaign focused on recruitment in adult health and social care. HCPA gave us the opportunity to promote Jubilee House directly, and the great work we do by interviewing members of our adult care staff about why they chose a career in care. 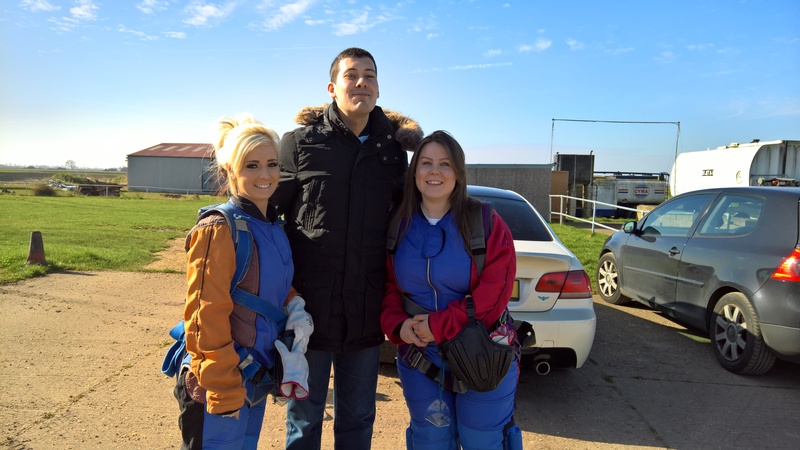 A big thank you to Batsi, Sam, Sara and Gemma for taking part in this campaign. We are looking forward to getting involved and supporting July’s Herts Good Care Month! 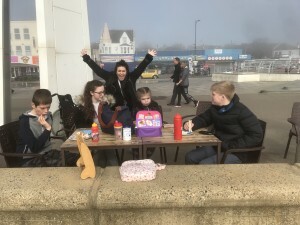 We can say that Spring officially sprung in February, although for a few days, the staff and services users took the opportunity to make the most of it by visiting the seaside for the day. Who would have thought that we would be sharing news that we have been to the beach in February! It was a great treat for the children and even staff as they sure had lots of fun in the warm sunshine. The day consisted of having a walk along the pier, a spot of lunch looking out at the waves then on to the arcade when the fun really started. Check out our brand new vehicles for our Short Breaks and Residential Services. 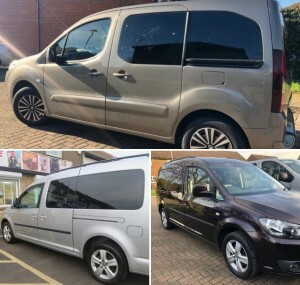 We would like to say thank you to everyone who has donated and fund raised for us over the past year, it’s down to the generosity of our supporters and donors, and to Ground Construction Limited that we have been able to purchase these great vehicles which will make a huge difference to the care and support that we provide. 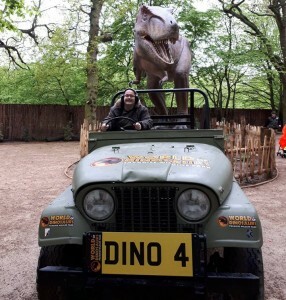 We hope to share with you many adventures in these great vehicles, and can say that the service users are sure looking forward to going out and about in the community, in style! Help National Autistic Society make 2019 a big year for Autism. 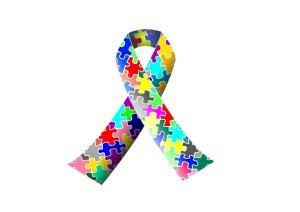 2019 marks the 10th Anniversary of the Autism Act, and they will be marking this anniversary by campaigning to make sure the Government improves support for autistic children and adults. The Government will be reviewing the autism strategy this year and this is a great opportunity to campaign for change. You can help this change by taking part in this survey https://bit.ly/2TPbuHq and sharing your experiences of autism services. Congratulations to Batsi for being awarded Employee of the Year 2018/19, this is well deserved and a true reflection of the hard work and dedication to the service users and Charity over the past year. 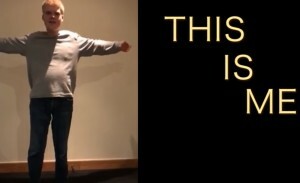 We are excited to share with you part one of our ‘this is me’ project which the children’s service have been working hard on over the past few months. A massive thank you to the team for their enthusiasm and hard work! If this inspires you and are thinking of new years resolutions, we are always looking for volunteers to help in different areas of the Charity, if you are interested then we would love to hear from you! 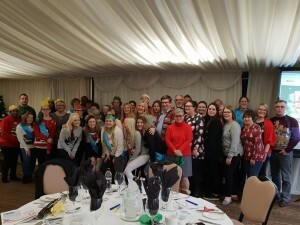 Staff, Trustees and Volunteers came together on Friday 14th December for our annual Christmas Lunch. Everyone got in the Christmas spirit with their festive knits in aid of Christmas Jumper Day raising £39 for Save the Children. It was a fun-filled afternoon comprising of Christmas themed games, a celebration of hard work, length of service and a delicious meal to top of a great year. Bring on 2019! We were very pleased to have been selected as one of the chosen charities for this years Morrison’s Christmas Toy Appeal during December 2018. 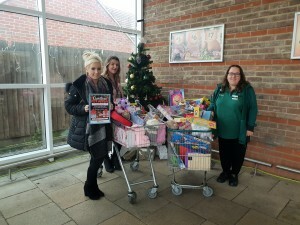 The children at Peartree Short Break Centre will have an extra special Christmas this year after generous customers, staff and kind members of the public donated 115 gifts to the Morrison’s Charity toy appeal. The children who have learning disabilities who face challenges that can make every day difficult will be receiving everything from books, to arts and crafts, cuddly toys and fun games. Michelle Warner, Community Champion said there has been an amazing response from kind-hearted people and added: “I’m so thrilled with the amount of gifts donated. I’d like to say a big thank you to everyone who made a donation. Peartree Short Break Centre is ‘Outstanding’! 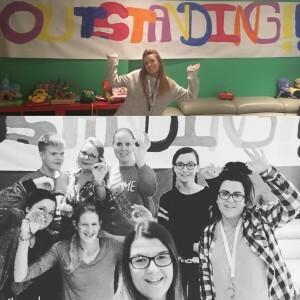 Ofsted has awarded an ‘Outstanding’ rating in all areas to our Children’s Short Break Centre – Peartree, which provides residential short breaks to children and young adults with learning disabilities. This is the first outstanding result we have received in our 40 year history and is testament to the fantastic team who go above and beyond every day, this is also makes Peartree Short Break Centre the only children’s care service in Hertfordshire that has achieved Outstanding. Congratulations to the whole Peartree team. The Summer House has arrived! We are so pleased to share with you this fantastic edition to our residential service Jonquil’s garden. A huge thank you to Councillor’s Nigel Quinton and Lynn Chesterman for awarding us with funding from their Locality Budgets. 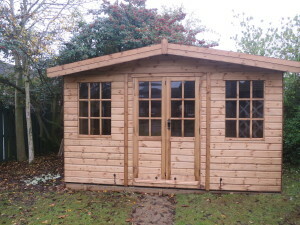 The grant has enabled us to purchase the Summer House, which means a great deal to the adults who we support, allowing them to enjoy this space year round. 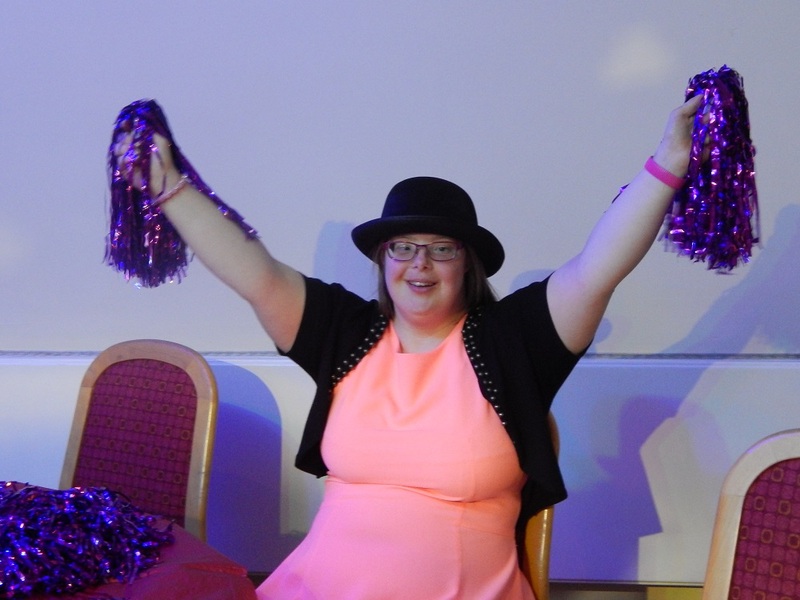 It is only because of the support of funding, donors and supporters that we can continue to enhance the lives of individuals with learning disabilities and empower them to live the lives they choose. Also a big thank you to R.P Franklin Fencing And Landscapes and Herts Garden Buildings Ltd for making this happen. 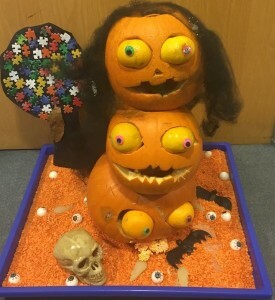 Our annual pumpkin carving competition was back with a bang this year – staff, service users and volunteers from each service got involved to create their spooky masterpieces for a chance to win a prize of their choice, for their service. There were some really great creations in the running and all of the pumpkins entered were uploaded to our Facebook page where our followers had a chance to vote their favourite. We can reveal the 2018 winners were Team Peartree, with their excellent 3 headed pumpkin. We would like to thank everyone for their efforts and for those who got invovled and voted on Facebook. Matthew’s latest Outreach session was a really spooky one! 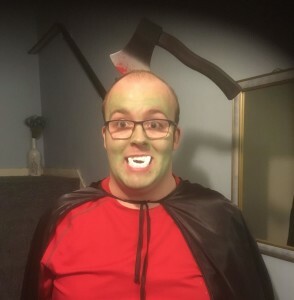 As you can see from the photo he really made a great effort with his costume. He celebrated Halloween in style this year at the Nast Hyde Halt Ghost Walk which was in his words “brilliant and timeless”. His favourite parts of the day were dressing up for the occasion, trick or treating at our services and winning a prize for the best costume which was very well deserved! Sensory Bubble Tube at Peartree! We have recently purchased a new and impressive sensory bubble tube at Peartree our children’s service, although we are not sure who is more excited the staff or the young people! We would like to say a big thank you to Councillor Nigel Quinton for the donation which allowed us to purchase the bubble tube and to Rhino UK for the great customer service we received. 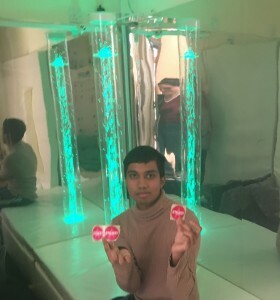 The young people who use our service will now be able to enjoy and benefit from the bubble tube, as it creates constant moving, colour changing bubbles which can calm and soothe an individual and encourage visual development and communication skills. National Fitness Day is a chance to highlight the role physical activity plays across the UK, helping to raise awareness of its importance. On Wednesday 26th September, team Jubilee House participated for the second year running and came back even better! 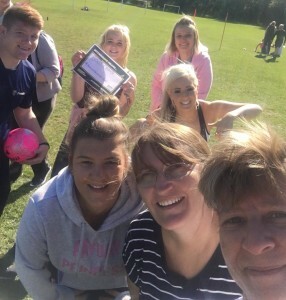 Our staff and service users took on a Premier Education Group boot camp session followed by a 100m sprint race for the fast runners of the group, at a local park in the morning, fun sport themed activities also followed shortly after in the afternoon for those who couldn’t make the boot camp. A huge thank you to Morrison’s in Welwyn Garden City who kindly donated bottles of water and fresh fruit in aid of the day to help us promote health and well being. 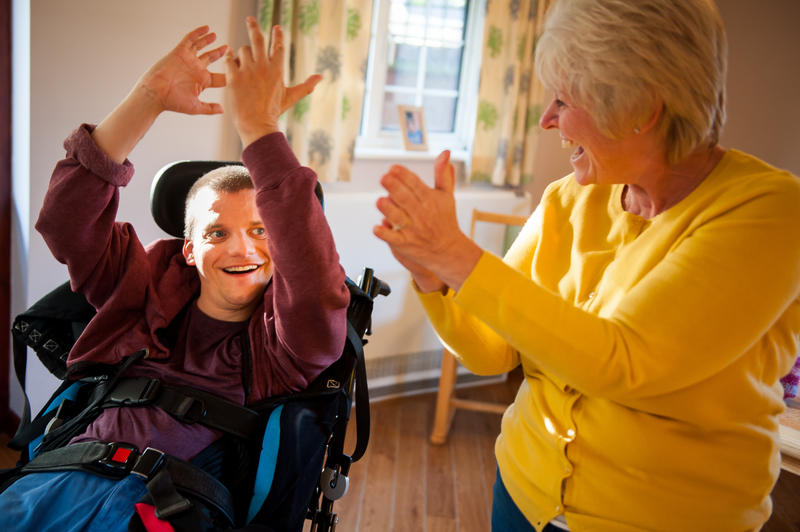 Matthew and his support worker had a very busy but delightful weekend, on the Friday night he played a game of pool and had a great time dancing and singing with fellow peers. 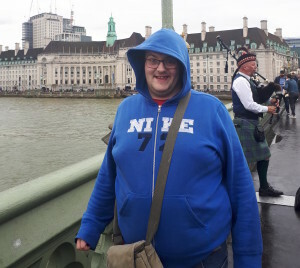 By Saturday, Matthew was enjoying a day out in London on a boat cruise, along the River Thames spending the entire time on the boat, on top deck in the pouring rain! We would like to say a massive thank you to Hertfordshire Community Foundation for their incredibly generous grant of £5,000. 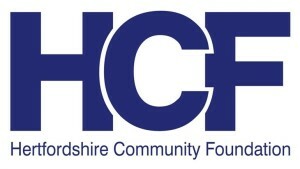 The Hertfordshire Community Foundation (HCF) is an independent Charity that aims to encourage local philanthropy, the giving of time, resources or both by local people to help support their local communities. This grant will go towards funding our after-school activities aimed at children with moderate to significant learning disabilities and will make a positive difference to the local community. 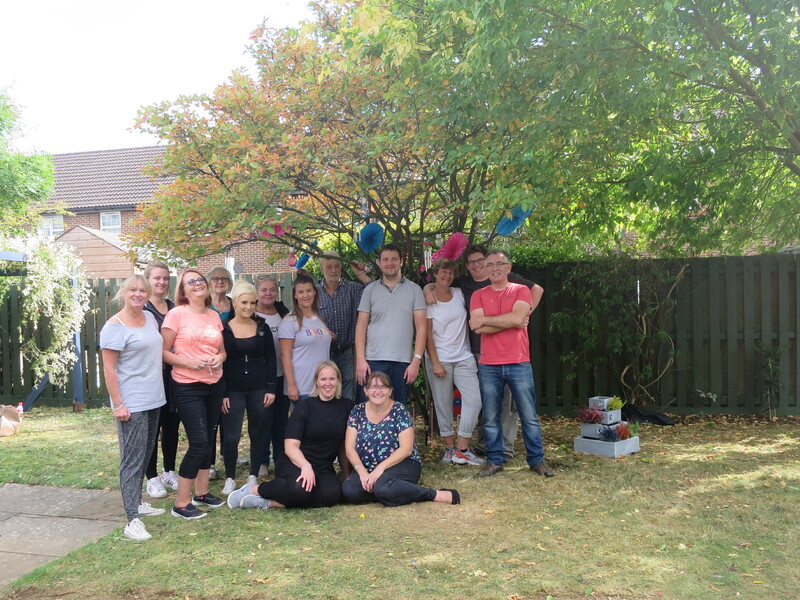 Another successful garden transformation for our service users, the Jubilee House team came together on Wednesday 19th September and was able to brighten up jonquils garden. The day consisted of painting fences, raking leaves, revamping the swing and bird box, de weeding, creating a sensory tree and adding two water features for the service users to enjoy. Also, a massive thank you to Homebase, B&Q, Van Hage and Morrisons for being able to support our project by providing plants, compost bags, vouchers and a beautiful lemon tree for our garden, we are very grateful. 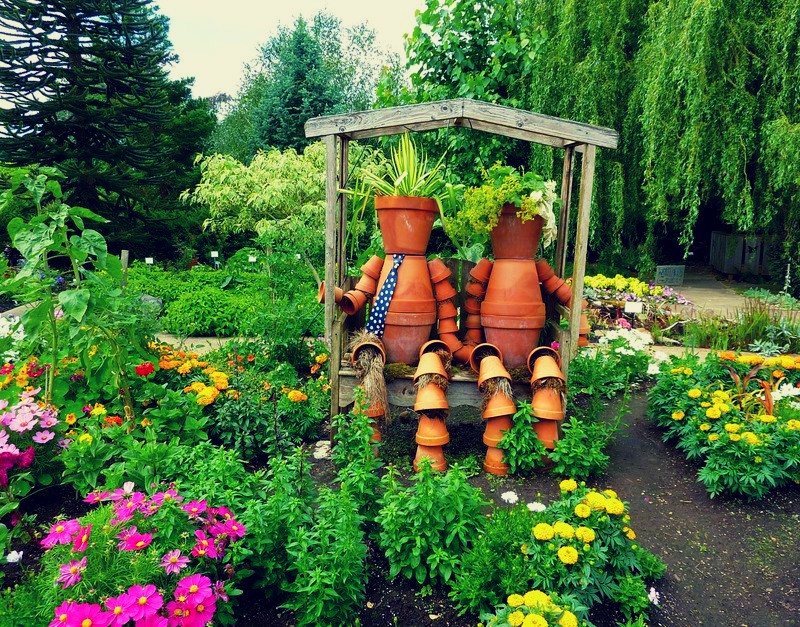 There is just one more exciting finishing touch for the garden which will be arriving in October- Watch this space! 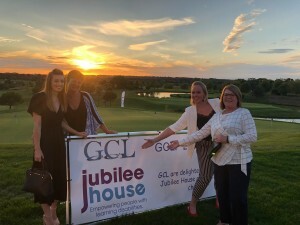 A massive thank you to Ground Construction Limited who raised £35,000 for Jubilee House at their annual charitable golf day on Friday 7th September 2018. Our team who were invited to represent Jubilee House on the day had a fantastic time. A special thanks go to Trevor, Paddy, their team and suppliers for their generosity and support on the day. We will be putting the funds raised to great use across all of our care services which will make a significant impact – watch this space! The children at Peartree Short Break Centre were surprised with a special visit from the kind firemen from Welwyn Garden City Fire Station last week. 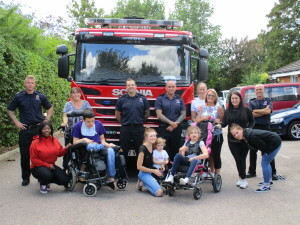 We would like thank the firefighters for taking the time to come down and to meet the children and show them around the fire engine, they absolutely loved it. Thank you to Asda, Hatfield and to everyone that voted for us in the Green Token Giving scheme throughout April, May and June. We are pleased to say that the amount raised was £200, this donation will allow us to purchase much needed sensory equipment for our children’s service. Each year Asda invests over £1.4 million in over 4,000 good causes through the Green Token Giving Programme, to nominate us again visit their website! Matthew is sure having the best time using our Outreach service, last time we told you that one of his ambitions had come true. 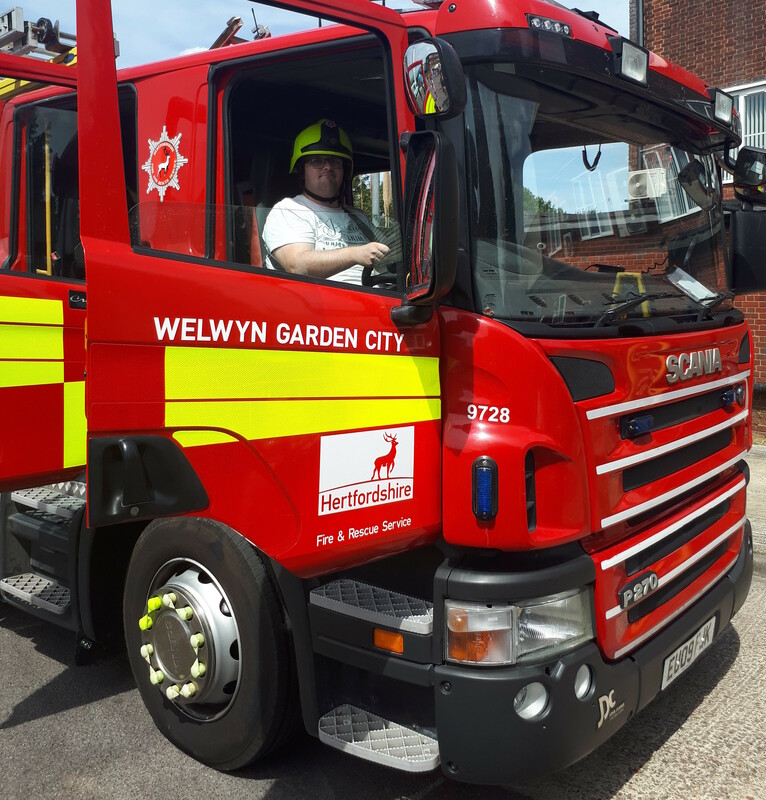 We are pleased to tell you that he has only gone and achieved another one of his Outreach ambitions which was to become a Fireman for the day. 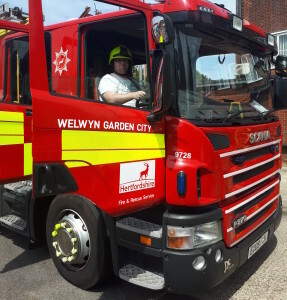 Fireman Matthew as he referred himself as was getting rather comfortable in the drivers seat of the Fire Engine enjoying every moment learning about all of the cool gadgets it had to offer. Keep checking back to find out what his next adventure will be! A massive well done and congratulations to the staff and young people at our Children’s Short Break centre on winning the Herts Good Care Bake Off Competition 2018! They baked this wonderful cake in aid of Herts Good Care Month which took place in July. The care month is designed to raise awareness of the rewarding range of careers available within the social care sector and to celebrate the amazing people who make a positive difference to peoples lives each and every day. Thank you you to Herts Good Care for our prize of a fantastic arts and crafts hamper, the children will have great fun with this over the summer. Another adventure, but this one has more meaning than the last! 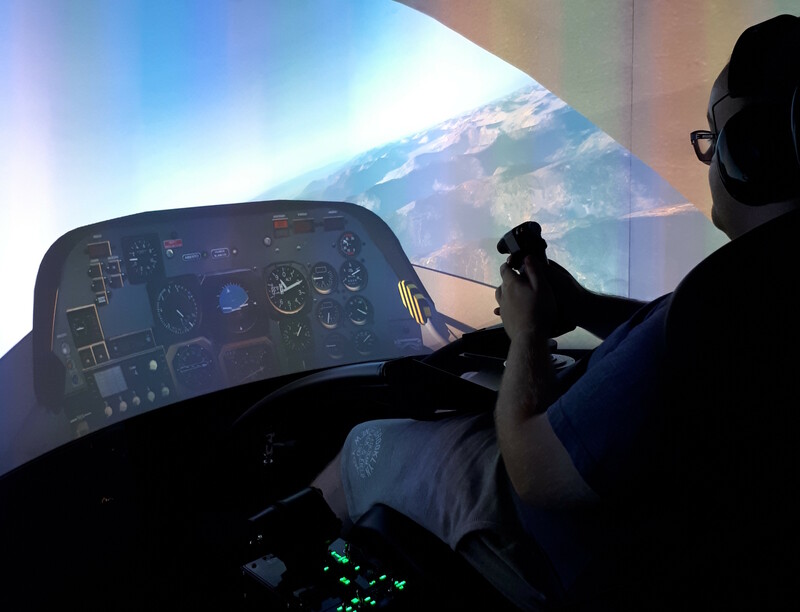 For the young people who use our Outreach service, they set their own ambitions and one of Matthew’s is to become a pilot. On Saturday 21st July, he visited the RAF Museum in London and his ambition to become a pilot came true! So, instead of Matthew, it was Captain Matthew for the day, and enjoyed every second! Our Outreach services are expanding and if you are interested in making a difference to someones life and becoming part of our team, then please contact us. 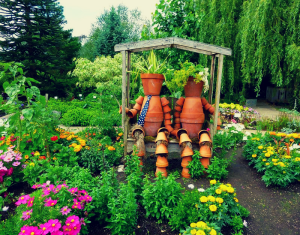 Peartree’s Garden is great again! The Jubilee House team came together on Tuesday 17th July for our annual company day to improve our children’s service garden. 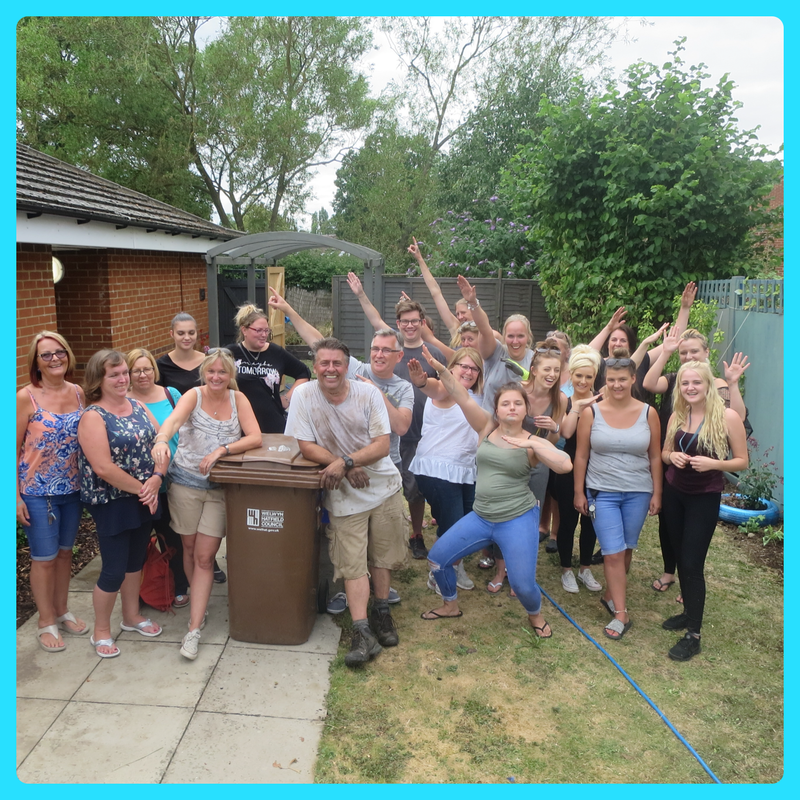 The day consisted of having lots of fun, a variety of gardening jobs such as painting, DIY, de-weeding, planting the lovely donated flowers/plants, and a tasty BBQ lunch in the glorious sunshine! A massive thank you to Morrisons in Welwyn Garden City, Homebase in St Albans and Rochfords Garden Centre for their generous donations of flowers and plants for the project and also a huge thank you to Aylett Nurseries and Wyevale Garden Centre for their kind donation of gift vouchers to spend in store. Everyone should be so proud of what we have achieved together and the positive difference we have made to the children who use our service. 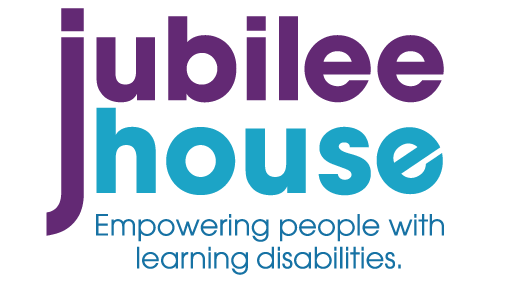 Team Jubilee House will be back to take on another project within the Charity – so watch this space! Herts Good Care Month – Bake Off! The children and staff at Peartree Short Break Centre baked this wonderful cake in aid of Herts Good Care Month. 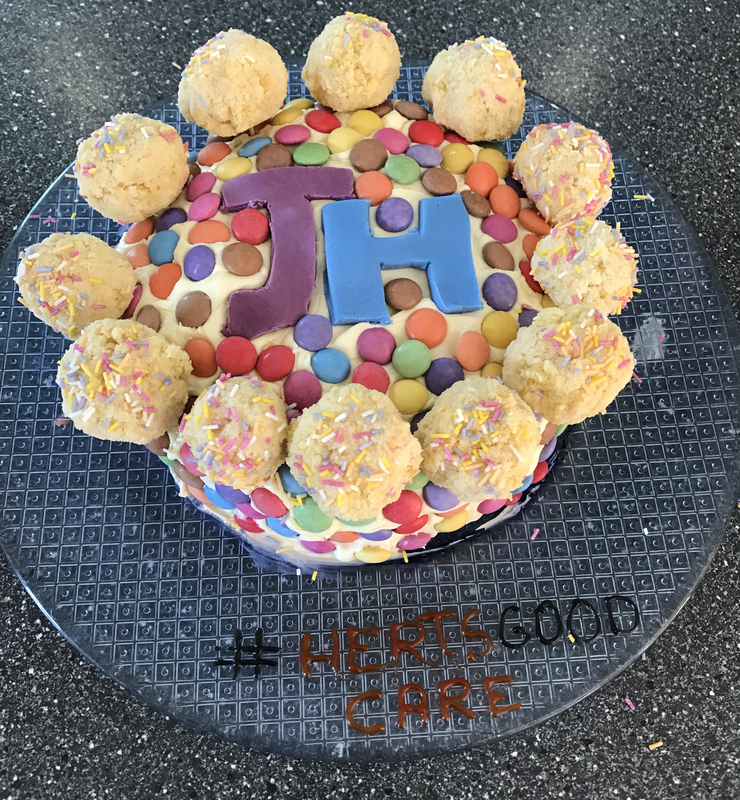 During July, Herts Good Care are holding a ‘Bake Off’ competition to find the best baker/s in Hertfordshire and we fancy ourselves a chance to win the special prize! Herts Good Care Month is designed to raise awareness of the rewarding range of careers available within the social care sector and to celebrate the amazing people who make a positive difference to peoples lives each and every day. Help us make Peartree’s Garden Great Again! For our annual team day this year, on Tuesday 17th July our staff teams will be coming together to improve our children’s service garden. The garden is looking a bit worse for wear, so we need your help to make Peartree’s garden great again. In order to achieve this, we are asking for any kind donations of Flowers, Plants, Sensory Accessories and anything you find fitting. Any donations we receive will be appreciated. To find out more about how you can help, please contact us on 01707 390107. Thank you to Waitrose, Welwyn Garden City and to everyone that voted for us in the Community Matters Scheme throughout May. We are pleased to say that the amount raised was £268, this donation will allow us to purchase much needed sensory equipment for our children’s service. 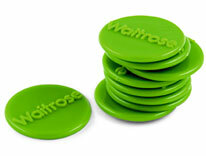 The Waitrose Community Matters scheme was first launched back in 2008, and so far with the help of Waitrose customers, the community scheme has raised £14 million for good causes! Volunteers Week is celebrated between 1st and 7th June every year. It is a week in which the UK celebrates volunteers to thank them for the contribution and difference that they make. The week also raises awareness about the benefits becoming a volunteer and the diverse volunteering roles that are available. We would like to thank our amazing volunteers for their continued support and dedication they provide to our Charity. The time they give each week or month really does make a difference to the people we support, and to our staff teams enabling them to provide the very best care. To find out what our volunteers have to say please visit our volunteers page or to find out what volunteer opportunities we may have for you, please call our HR team on 01707 390107 we would love to hear from you. Thank you to the Cala Homes Bursary Scheme for their generous grant of £1000. The Cala Bursary scheme invites local charities, community groups and organisations to apply for a share of their annual bursary, to help fund projects which help make a vital difference in and around the local communities. The grant will go towards funding our after-school activities aimed and Children with moderate to significant learning disabilities and will make a positive difference. We would like to say a massive thank you to The Boshier-Hinton Foundation for their incredibly generous donation of £1,920.00. The Boshier-Hinton Foundation exists to improve the quality of life for people with disabilities, learning difficulties or sensory impairment and their families, by the awarding of grants. The grant will go towards funding our after-school activities aimed at children with moderate to significant learning disabilities. Mr Mulligan’s Crazy golf and Paradise Wildlife Park Zoo all in a few days! Outreach is about having lots of fun and we can sure tell that Matthew has had a fantastic time. We cannot wait to see what he get’s up to next. 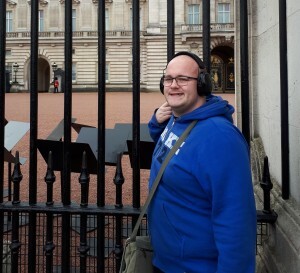 Matthew on his recent adventure to Buckingham Palace, London! 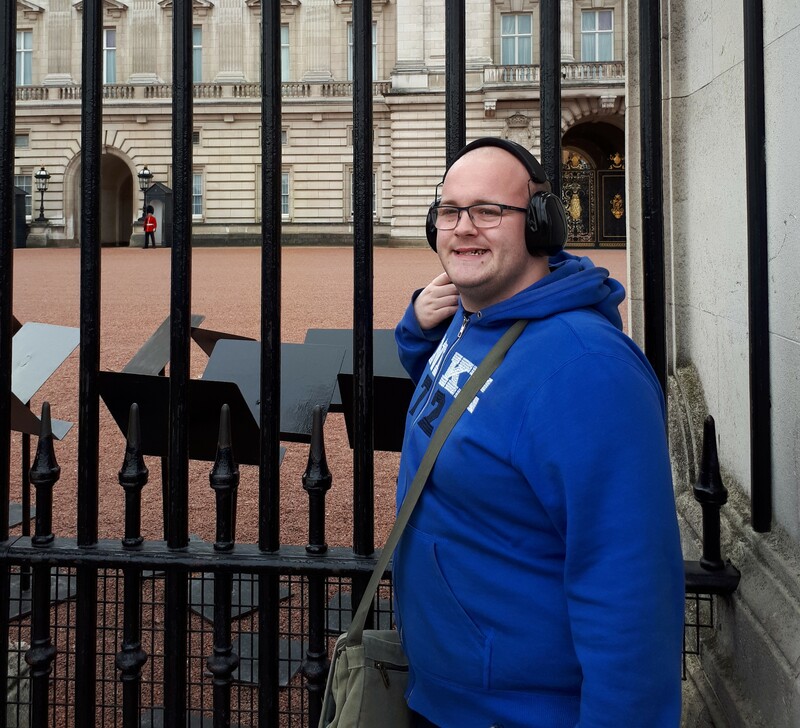 Matthew uses our Outreach service on a regular basis and on each outing of his choice, he has a fantastic time with his key worker. Since using our Outreach service, Matthew has come on leaps and bounds and it’s great to see him having so much fun! Lincoln Close have also sustained Good in their latest inspection report this year – well done to the team, you have done a great job! Congratulations to the team for sustaining GOOD in the latest CQC report. Why not start 2018 off with setting yourself a new year’s resolution? If you are interested in getting fit and healthy, doing something out of the ordinary or want to take on a challenge, throughout the year we are going to be promoting a variety of local fundraising events and open fundraising challenges you, your family and friends can sign up too. We are looking for a team of Jubilee House Challengers to get involved and to raise funds for us! 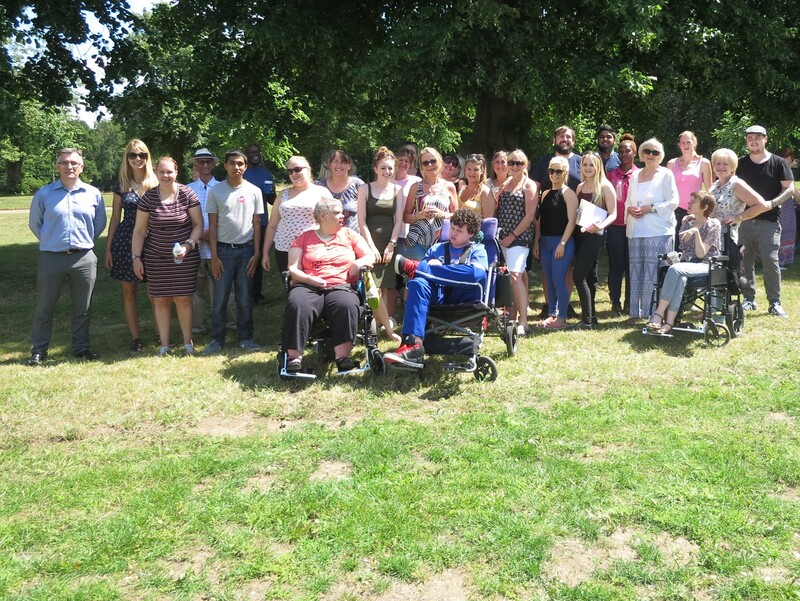 On Wednesday 5th July staff and service users got together at Hatfield House to enjoy a summer picnic in the park grounds. The weather was kind to us as the skies were blue and the sun was shining, it really turned out to be a lovely afternoon. During the afternoon Jon Pratten, CEO awarded long standing staff members for their length of service with the charity for 10, 20 and 25 years! 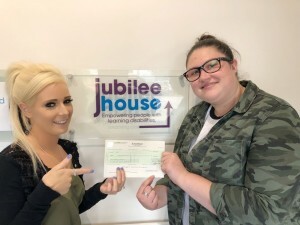 This is a huge achievement and we would like to take this opportunity to thank all staff for their hard work and on going commitment to Jubilee House. We were back at the annual Welwyn Festival Fun Day on Saturday 24th June 2017. We would like to say a massive thank you to the volunteers who manned our stall for the day and for the people who came to visit us. 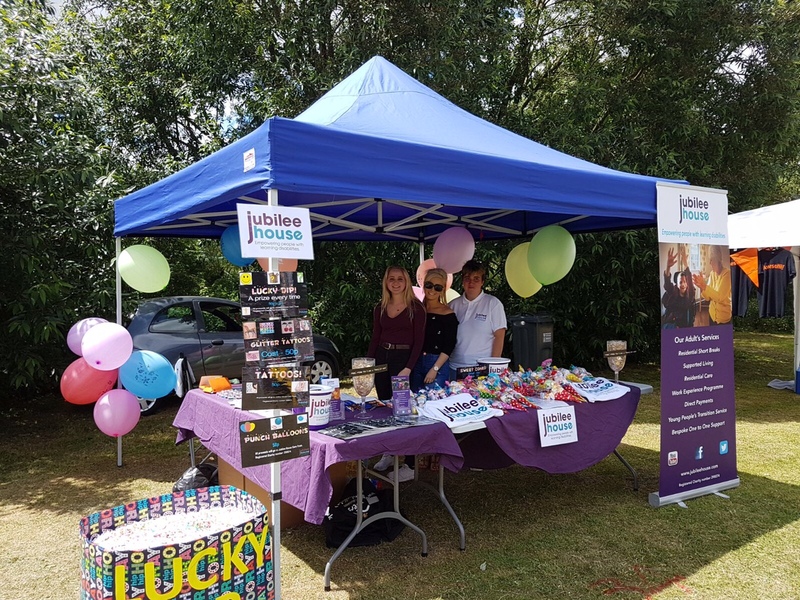 “We enjoyed talking to people about what great work Jubilee House do in the local community, not only this but the sun was shining and we had a fantastic day. The lucky dip went down a treat with both the kids and the adults too! It’s a brilliant day out for families and we would love to help out again next year”. 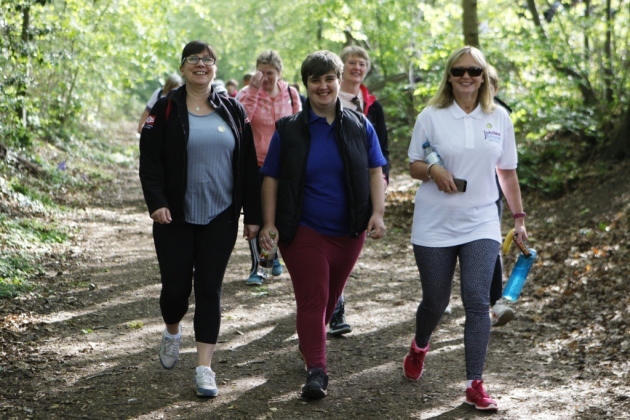 On Sunday 30th April team Jubilee House took part in yet another annual Welwyn Hatfield Rotary Walk and so far have managed to raise just over £250. A huge congratulations to our team who year on year come out in force to walk and support our charity, we hope to see you again next year. Residential – Jonquil sustained GOOD in CQC report! A massive congratulations Sean you did it! 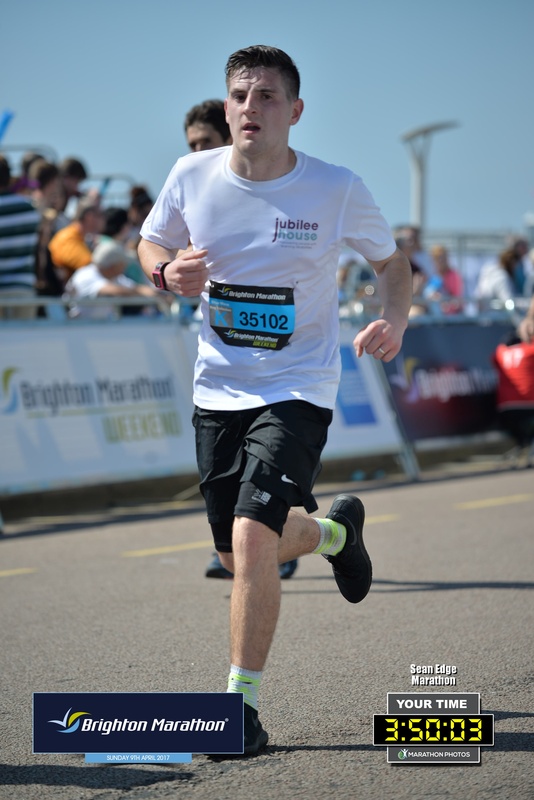 Sean ran the Brighton Marathon to raise money for our children’s service on Sunday 9th April 2017 and completed it in an amazing 3 hours, 50 minutes – not bad for a first timer! Thank you and well done, what a massive achievement! 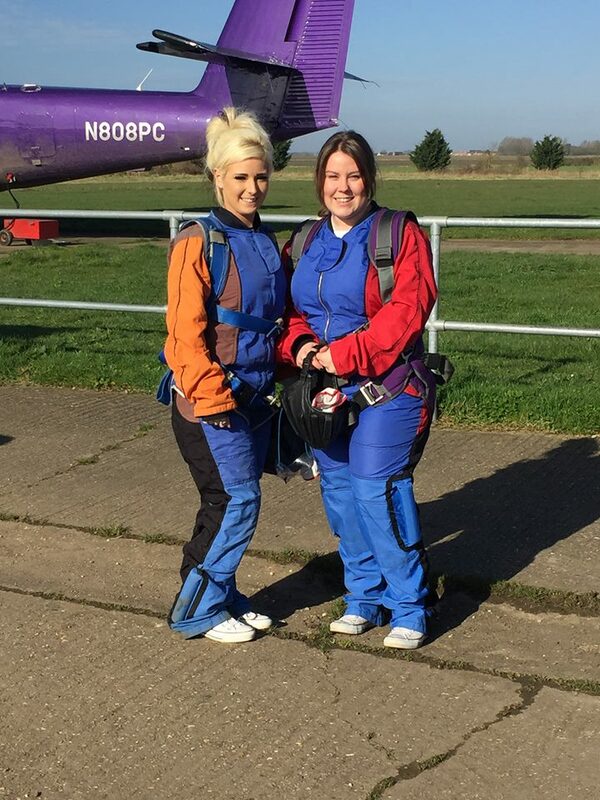 Lauren and Jade took fundraising to new heights and jumped from 13,000ft on Wednesday 15th March 2017 to raise money in aid of our 40th Anniversary. 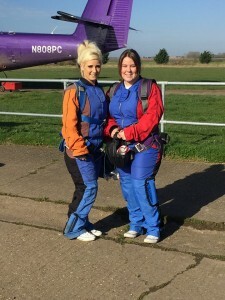 They raised a whopping £1200 for us which will go towards all our services. 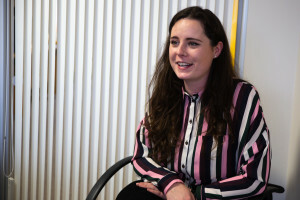 A mother of a young person who uses our Outreach Service on a regular basis has created a brilliant and inspirational blog called ‘Living with a Jude’ . The blog is aimed at providing an rare insight of what is it like to live with a child who has a learning or other disability. 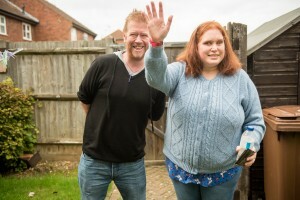 She is hoping to inspire and reach out to as many people and families of disabled children that she can. In June 2015 we hosted ‘The Rumble Awards’ as part of a series of events organised by Pioneer Approaches in partnership with and fully funded by Hertfordshire County Council to celebrate our service users, recognising them for their own talents, personalities and characters. 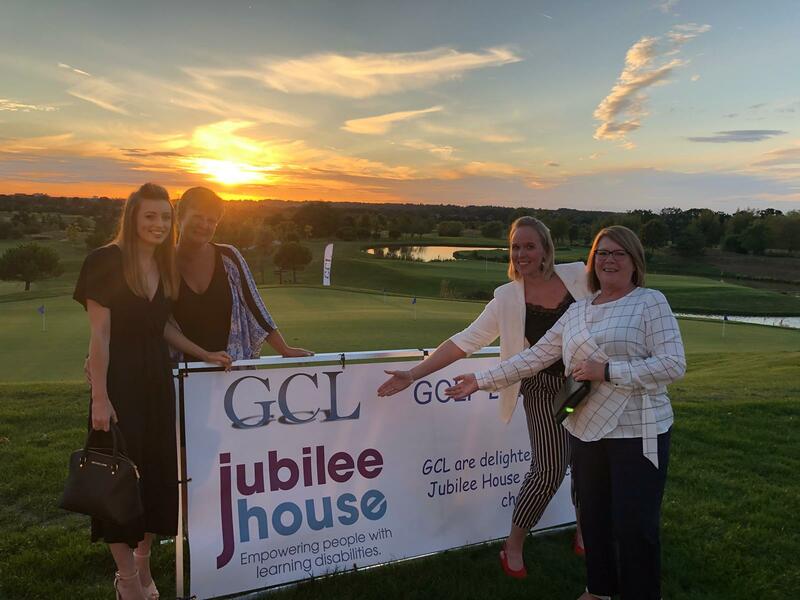 The main Rumble Award Ceremony took place in July which was a fantastic evening bringing each organisation involved together to celebrate the overall winners. One of our service users Tom won the overall Champion of Champions Ultimate Rumble Award for being a ‘Ray of Sunshine’ for his positive outlook and fabulous smile, Colin won the ‘Makes Me Smile’ award and Kathy won the ‘Brave Heart’ award. In November 2014 our student Tom won the Smile Learner Award at the Hertfordshire Care Providers Association (HCPA) Awards, where we also celebrated having two finalists in the new comer to care and inspirational leader category. In the Inspiring Hertfordshire Awards 2014 we celebrated being finalists in the People Development category.